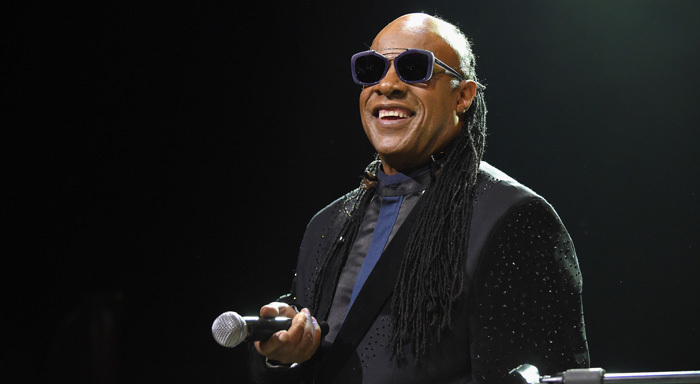 Stevie Wonder is an American singer-songwriter, musician and multi-instrumentalist. Widely regarded as one of the most important and creative figures in popular music for more than five decades, he has sold over 100 million records worldwide. A recipient of 25 Grammy Awards, more than 30 of Wonder’s recordings became U.S. top ten hits. Born “Stevland Hardaway Judkins” on May 13, 1950 in Saginaw, Michigan, he was blind since birth. A childhood prodigy, Wonder began playing instruments at an early age. He signed with Motown’s Tamla label when he was merely 11 years old. Within less than a year, Stevie Wonder’s song “Fingertips” became a number 1 hit on the Billboard Hot 100 when he was only 13. He released a string of pop classics over the next few years. Some of them include “My Cherie Amour” (1969) and “Signed, Sealed, Delivered I’m Yours” (1970). The young Wonder soon became unhappy with Motown’s manipulation and lack of artistic control over his material. He famously refused to renew his contract with the label in 1971 until he was guaranteed more creative freedom. The next five studio albums of Wonder earned tremendous critical and commercial success. His 1972 hit single “Superstition” exhibited his experimentation with unique rhythms and instrumental arrangements. Perhaps his most socially relevant album was Innervisions (1973), which included “Higher Ground” and the epic “Living for the City.” Wonder followed this with two more albums, namely Fullfillingness’s First Finale (1974) and Songs in the Key of Life (1976). He received the Best Album Grammy for all three. Wonder continues to perform and record new music to this day. In 2013, he made a special appearance on Celine Dion’s studio album Loved Me Back to Life. Stevie Wonder has won many awards and accolades in his career. He has been inducted into both the Rock and Roll and Songwriters halls of fame. A recipient of the Polar Music Prize, he has also won an Academy Award for Best Song. Wonder was honored with the Montreal Jazz Festival Spirit Award in 2009. Wonder has been married twice. He married fellow singer and collaborator Syreeta Wright in 1970. The couple filed for a divorce in 1972. He married fashion designer Kai Millard Morris in 2001. They got separated in 2009.